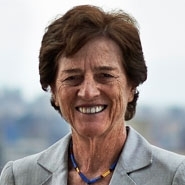 Elizabeth Holtzman was quoted in a New York Law Journal story (subscription only) about state proposals to consider limited public release of grand jury transcripts when police are accused of misusing force. Holtzman, a former Brooklyn district attorney and now co-chair of Herrick’s Government Relations Practice, said the secrecy of the grand jury process can sap public confidence in these cases. “You combat that by showing people how it really works,” she said.